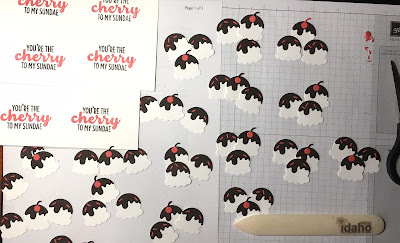 It is almost time for another Tutorial Bundle group tutorial. This month we've decided to highlight the Eastern Palace Suite. You will find 12 different project tutorials included in this bundle. Come back tomorrow and the Buy Now button will be up and ready to go. You are going to LOVE this one! 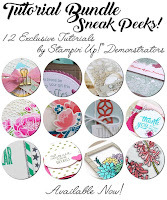 I am excited to be the guest Tutorial Author today on Splitcoast Stampers. I am showing you how to make this adorable A2 Shadowbox Frame Card. I think you will be surprised at how easy it is! Hop on over HERE and check it out! It is our standard US card size, however being 1/2" think it will not fit in a standard envelope. It's a one of a kind, hand delivered card! 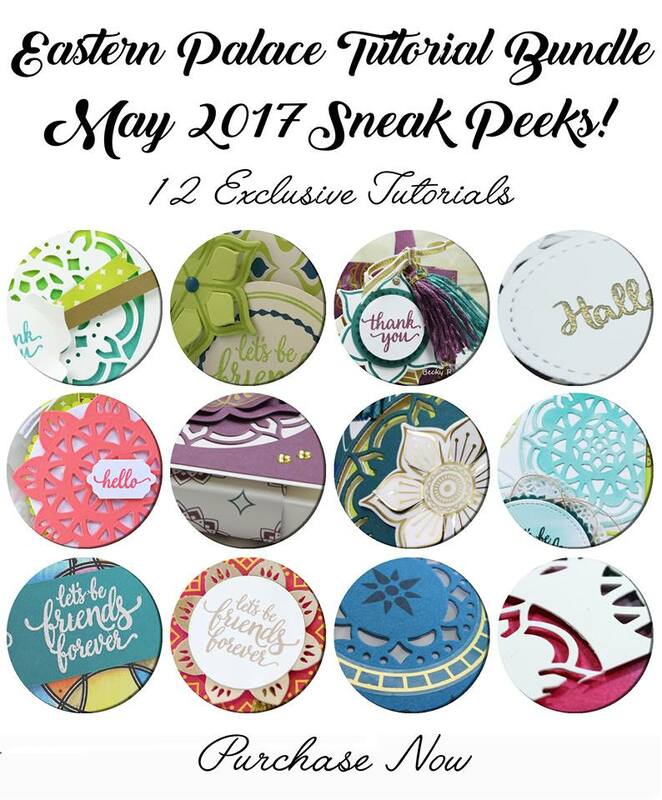 See all the Retiring Bundles HERE. See all the Retiring Stamps HERE. See all Retiring Everything Else HERE. 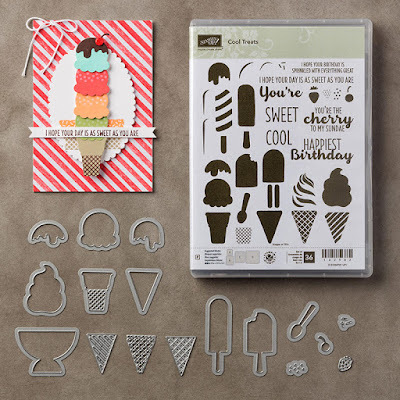 I am so happy this Cool Treats stamp set and Frozen Treats Framelits are sticking around. 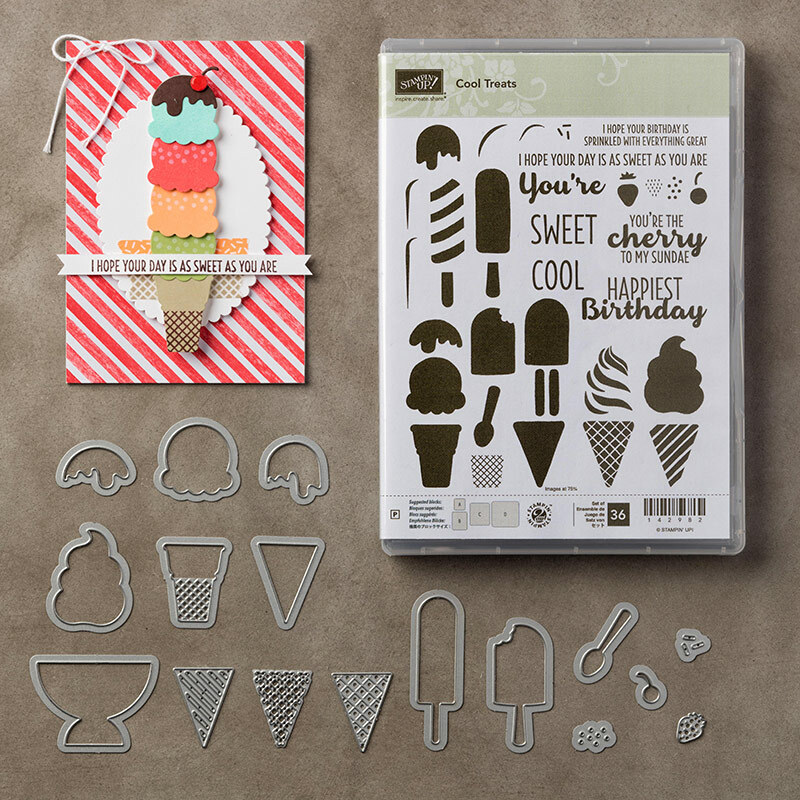 The Designer Series Paper, Washi Tape and the Sprinkles are retiring but we will still have the set. Get them while you can! These were for some of my general swaps at OnStage San Diego. Thank you Mary Brown for yet another dose of wonderful inspiration. Yep, I'm that girl that glues every single sprinkle on the ice cream scoops - I love that neurotic stuff! One of the stamp sets I have really enjoyed is Flower Patch. Unfortunately it is retiring, so get it soon if it's been on your wish list! Flower Patch and all the other retiring products can be seen here. Things are going quickly and lots of them are at reduced prices. Start with stamping the sentiment. Stamp the flowers and leaves on a separate sheet of Whisper White and cut them out with the Flower Flair Framelits and the Big Shot.